Rameswaram (TN) (PTI): Three Tamil Nadu fishermen were today arrested by the Sri Lankan Navy for allegedly fishing in the island nation waters. 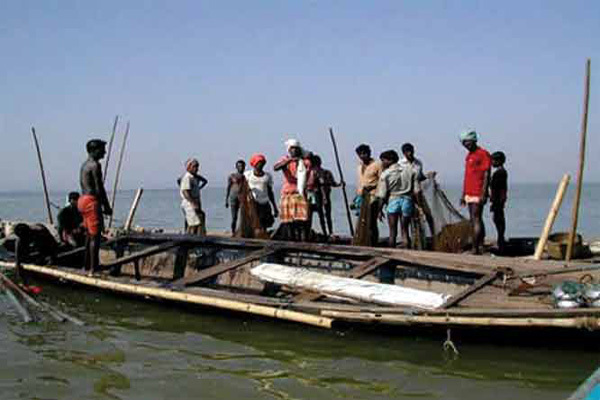 The fishermen from Jagadapattinam in Pudukottai District were detained off Karainagar in northern Sri Lanka and were later taken to Kangesanthurai port, state Fisheries Assistant Director Sivakumar said. This is the second instance of arrest of Tamil Nadu fishermen by the Lankan Navy this month. Earlier, on July 6, eight fishermen, also hailing from Pudukottai district, were taken into custody and their two boats seized. There has been a spurt in the detention of Indian fishermen by Sri Lanka since last month, when more than 50 fishermen were held. Chief Minister K Palaniswami has sought intervention of Prime Minister Narendra Modi to secure their release.